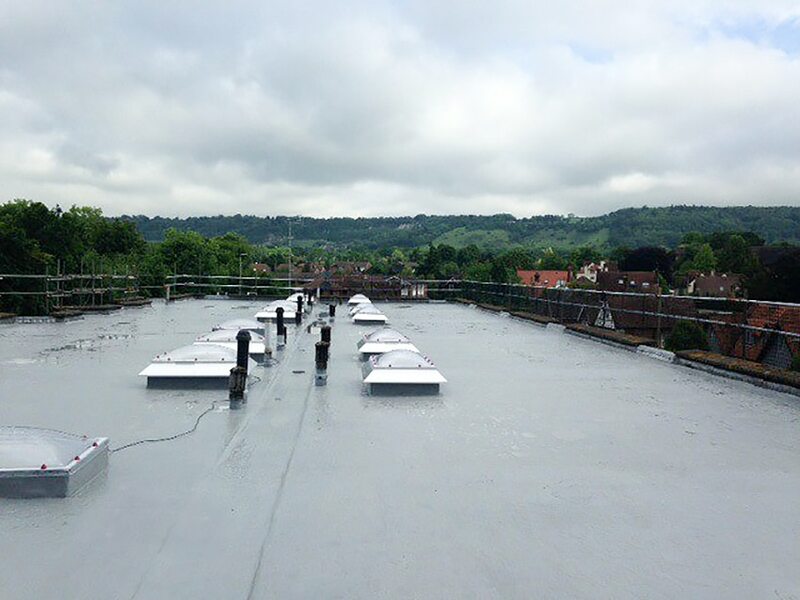 Applying cold, liquid-applied coating systems over the top of existing single-ply membranes is an excellent solution to the re-waterproofing of leaking, single-ply roofs. When choosing the most appropriate waterproofing system for a roof, you must take into account the complexity of the design and the requirements for waterproofing. 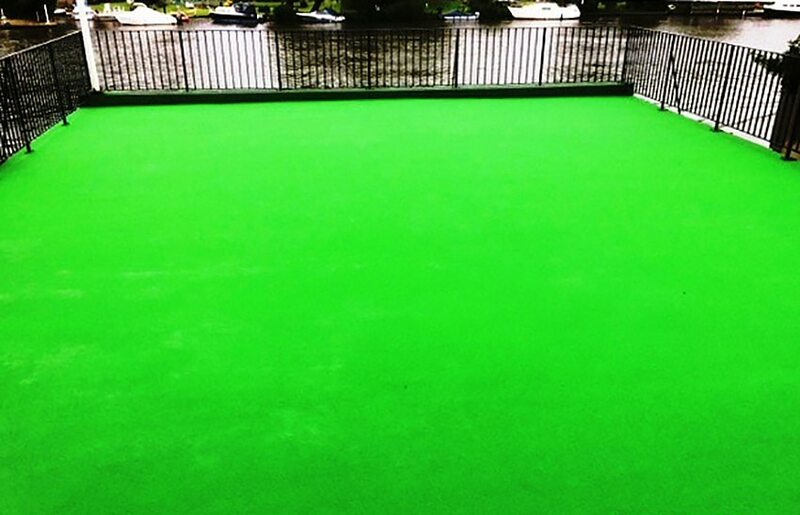 When you look back over the history of flat roofing, a traditional waterproofing method had been the use of multi-layer felt & bitumen systems. The 1960’s saw the introduction of single-layer thermoplastic membranes reinforced with fabric which had numerous advantages over traditional methods and the technology has been continuously adopted since inception. Application methods include both mechanically fixed and adhesive-bonded membranes. The primary disadvantage however in the use of single-ply membranes is that because it comes in rolls of standard widths & lengths, the roof area ends up with a series of overlap seams where the membrane overlaps on both sides, beginnings & ends of rolls or cuts. If applied incorrectly, this is the most common type of failure. It also means that detailing is complex and long-term watertightness around service entries, gullies and other detailing is difficult to achieve. 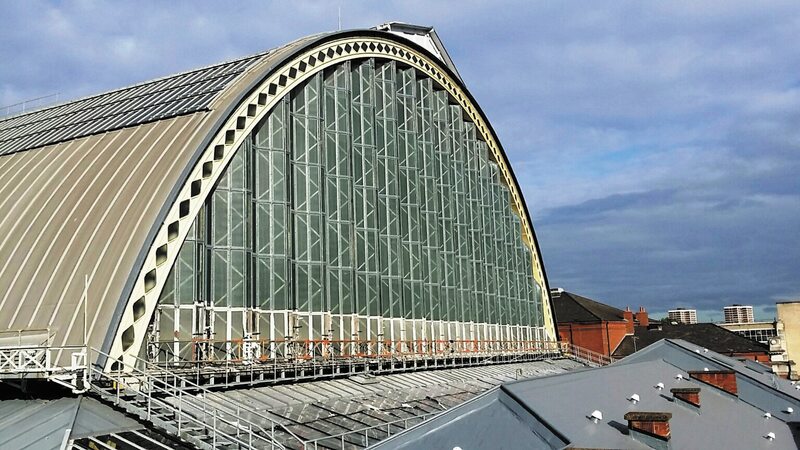 With a typical single-ply system on a 1,000m2 roof with rooflights and perimeter upstands, the amount of seams on side laps, end laps, perimeter laps, rooflights and outlets would equate to circa 1,350 linear metres giving a very high potential for seam failure, usually resulting in leakage.